Now that Sprint has joined the other three major U.S. carriers by making their early upgrade plan official, we felt as if a simple chart was in store to help display most of the fine print from each. 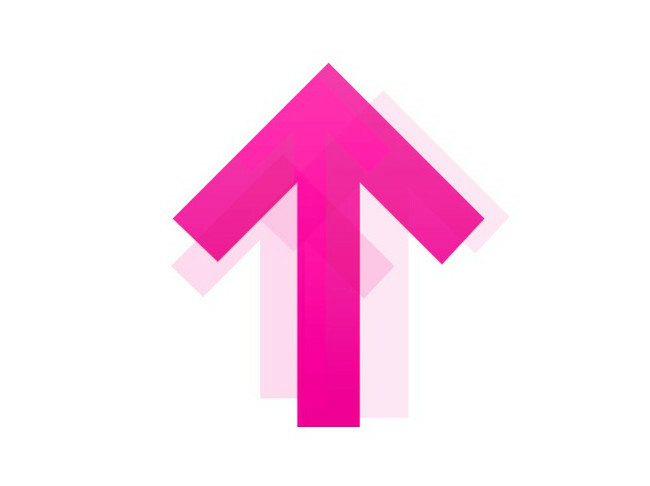 And while we wouldn’t necessarily recommend that you participate in any of these outside of T-Mobile’s, we know that monthly payment plans are an attractive option for those who want to keep current data plans and upgrade often. So below, to help those of you in that category out, you’ll find a comparison of Verizon Edge, AT&T Next, T-Mobile JUMP!, and Sprint One Up. This isn’t the money breakdown, which shows you how big of a rip-off the two plans from Verizon and AT&T are, because we already ran through those numbers. 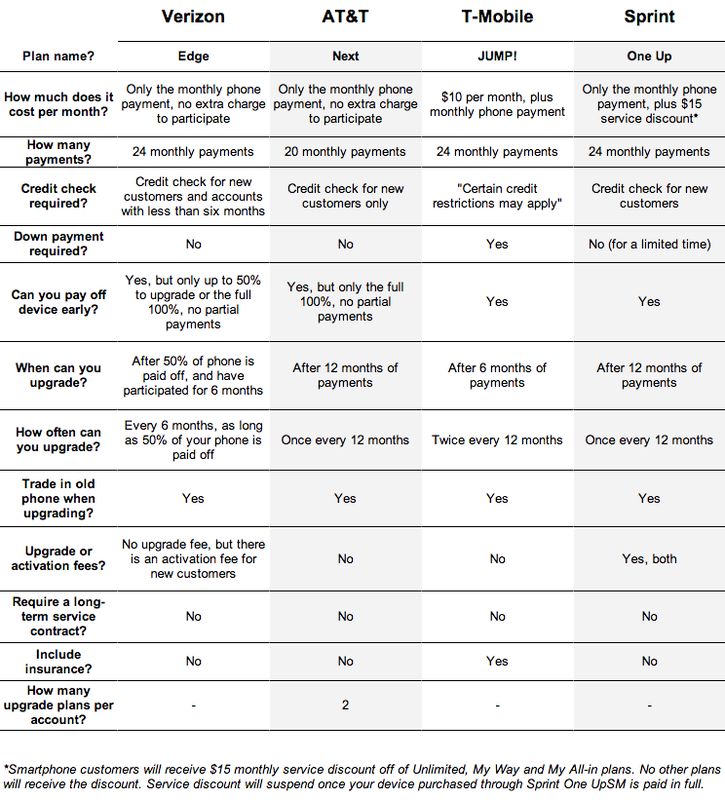 This is a chart that shows how each plan works, when you can upgrade, if there are fees attached, how many payments you’ll make, if you can pay your phone off early, etc. Most of this stuff is pretty straight forward, but charts always make it easier to visualize and compare.